Choosing the best temperature to vape weed is one of the most unclear and controversial topics in dry herb vaping. It turns out, there is no single best temperature to vape weed. The best temperature to vape your herb is fully dependent on what effects you're looking for. And in today’s post, I’m going to show you exactly what temperature is best for achieving your desired effects. You will learn that changes in your vaporizer temperature have the potential to change the chemical structure and therefore the medical effects and taste of your marijuana vapor. How Do Temperatures Impact Your Vaping Experience? 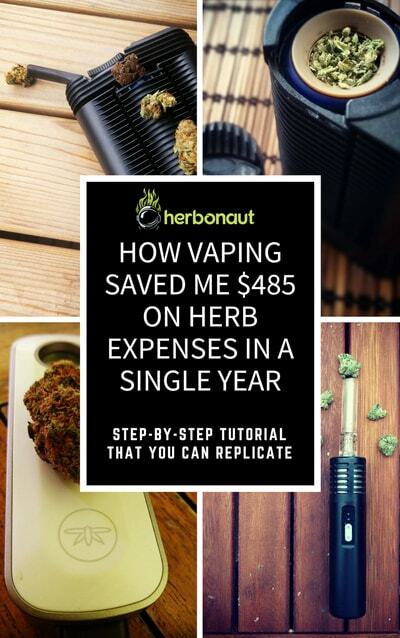 Want to see how vaping saved me $485 on herb expenses in a single year? 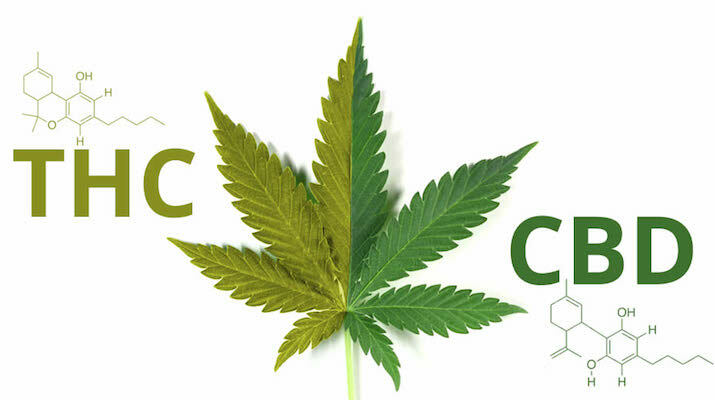 If there's one cannabinoid in marijuana that everyone seems to know it must be THC. Marijuana often gets equalized with THC. What most people don’t know, however, is that the Cannabis plant contains over 70 known cannabinoids and THC is just one of them. Each having its own chemical structure and pharmacological effects. To complicate things further, studies like this one suggest that all of the cannabinoids, terpenoids, and flavonoids in Cannabis influence each other and their pharmacological effects, enhancing each other’s effects and mitigating each other’s side-effects. Cannabis really is a ‘synergistic shotgun’, where hundreds (probably thousands) of different compounds work together to produce a particular pharmacological effect. Don’t reduce Cannabis to one single cannabinoid (THC). The Cannabis plant is a very complex plant containing thousands of different compounds that all have their unique characteristics and effects. We always want to simplify things, but simplifying the Cannabis plant to THC is going to hinder you in finding your best vaping temperature as you'll learn now. All of these cannabinoids, terpenoids, and flavonoids found in the Cannabis plant have different boiling points. At certain temperatures, certain compounds will be boiling primarily, and the chemical structure of your vapor will differ according to the compounds that are boiling primarily at that particular temperature. Aside from the strain you're vaping (which honestly has the biggest impact), the chemical structure of your vapor, which is (in part) formed by your temperature, will decide the pharmacological effects, potency, and taste of your vapor. What do you want to achieve while vaping your herb? Depending on the effects you're looking for, you will benefit most from the presence and/or absence of certain cannabis compounds. And you can control the presence and/or absence of these compounds with specific temperatures and temperature ranges. In this temperature range, you will have a higher ratio of the type of cannabinoids that have an effect on your mind and consciousness (THC mostly). This doesn't mean that the ‘physical' cannabinoids and terpenoids like CBD, CBN, Linalool, and α-terpineol aren't present at all, but it does mean that THC will be the dominant cannabinoid in your vapor. THC is the psychoactive cannabinoids in marijuana and primarily responsible for the ‘high'. Also, the speed of extraction within this temperature range, won't be as high as in the higher temperature ranges, meaning your vapor will pack less punch. You will get a light mostly mental medication, which is great if you still have a lot to that day. It's also the best temperature-range for flavor preservation and the best temperature-range to really taste your herb without any harshness. In this temperature range, you will have a balanced ratio of the type of cannabinoids that have an effect on your mind and body. The ‘physical' cannabinoids and terpenoids like CBD, CBN, Linalool, and α-terpineol will start to be more present in your vapor. But remember that to get high amounts of CBD, it's important you vape a high-CBD strain. If you vape a regular high-THC strain, chances are you won't be getting very significant amounts of CBD no matter what temperature you vape at. In general, you will get a stronger mental medication because the speed of THC-extraction will be higher than in the lower temperatures, which can be too much if you still have a lot to do that day. The bodily effects will also be more apparent: you might get a bit of a lethargic feeling (depending on your strain and how well your marijuana is cured). The flavor stays well in this temperature-range. In this temperature range, you will have a higher ratio of the type of cannabinoids and terpenoids that have an effect on your body (CBD, CBN, CBC, Linalool, and α-terpineol). Your medication will have a strong physical aspect to it, which is great if you don't have anything to do that day. But your mental medication can also be more intense here because the speed of THC-extraction will be very high in this temperature range. Your vapor will pack a real punch. Depending on your vaporizer and vaping-setup, the flavor might deteriorate in this temp-range: it can get harsh. Important note: Please do realize that when you vape above 392°F(200°C) you risk inhaling benzene and other toxic by-products. Less than with smoking, but still something to consider. And vaping cannabis helps you with your medical issue. The consciousness- and mind-altering effects of cannabis mostly attributed to the most well-known cannabinoid THC are simply a welcome or unwelcome by-product for you. Definitely not the main reason why you’re vaping medical marijuana. You really use cannabis as a medicine, not as some recreational tool to get you in higher spheres. What you’re looking for is a nice combination of the most powerful medical compounds and anything that dampens the consciousness- and mind-altering effects of THC. What will be my most important compounds as a medical user? The most important cannabinoids for you will be CBD, and THC and then all the other cannabinoids. Both CBD and THC are extensively researched cannabinoids and have proven medicinal properties. Having a significant amount of CBD in your vapor, is also important because it strongly reduces the unpleasant psychological side-effects potentially caused by THC (such as anxiety). What this means is you can enjoy more THC and stronger medical effects of THC, without experiencing strong psychoactive effects. Important to note here it's highly advisable to get a high-CBD strain if you're looking for significant amounts of CBD in your vapor. If there's not much CBD to vape, the temperature you vape at won't have much effect on the presence of CBD in your vapor. Although having not as many known medicinal properties as CBD and THC, CBG and CBN also have many, sometimes even unique medicinal properties. 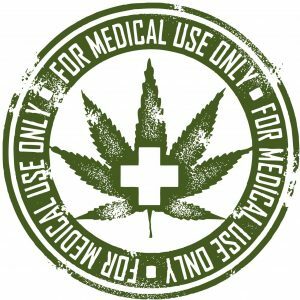 Scroll down to the end of the article where you can see a list of marijuana compounds and what medicinal properties are ascribed to them. THCV is known to dampen the consciousness- and mind-altering effects of THC. THCV also has strong anti-epileptic properties. Then there are the terpenoids with pain-relieving, anti-anxiety, analgesic (painkilling), antidepressant and sedative effects: caryophyllene, Linalool, and myrcene. Although these are less important to get the most well-researched medical effects of marijuana, as explained before, Cannabis is a synergistic shotgun, and having these terpenoids probably makes for even more medically potent vapor. What temperature should you set your vaporizer as a medical user? Were it not for this study which found that the highest yield of CBD in Cannabis vapor was found at 446°F(230°C). When you vape above 392°F(200°C) you risk inhaling benzene and other toxic by-products. Less than with smoking, but still something to consider. I advise against vaping at 446°F(230°C). 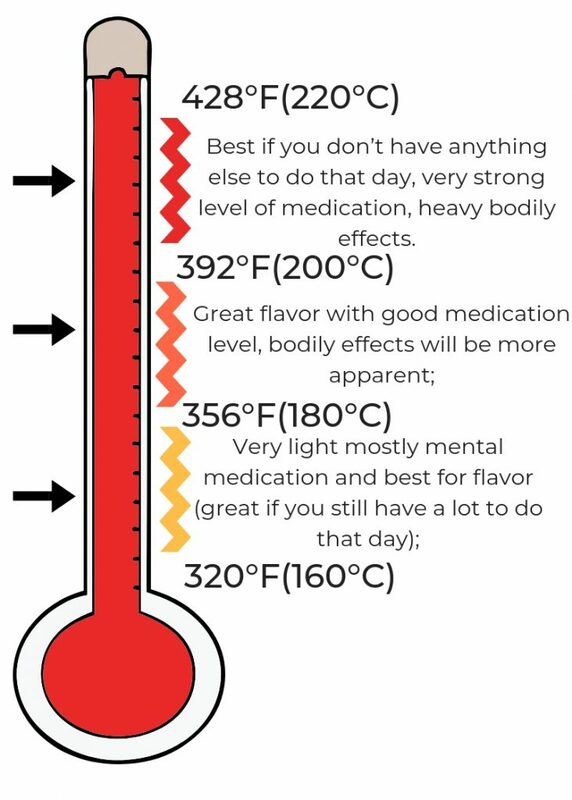 Instead, don't go above 392°F(200°C), unless you really have to (for example if the only way to feel effects is when going higher than this, but for most people there really is no reason to go above 392°F / 200°C). You’re a stoner, but a health-conscious one, that’s why you vaporize instead of smoke. You like to get baked and get baked WELL. The euphoriant effects of the herb combined with that sedative tingling feeling all over your body are what characterizes your average vaping session. Whether you do it with friends or solo, you like to chill to the maximum when vaping. Stack up your provisions with some good stoner foods, get a bunch of new movies, games or series and just get totally sucked in and lose yourself in your entertainment. What you’re looking for is a nice combination of the euphoriant effects and sedative physical effects. What will be my most important compounds? The most important cannabinoids for you will be THC, but you’ll want a good dose of CBD as well. And for that sedative tingling feeling, you're going to need CBN and the higher temperature terpenoids: linalool and α-terpineol. THC will get you into that euphoriant state generally called the ‘high’. So you really want to maximize the THC in your vapor. However, THC has the potential to provoke some negative side-effects like anxiety and paranoia. CBD helps to counteract these effects. CBN, linalool, and α-terpineol are also important if you drool over that sedative and tingling feeling all over your body. What temperature should you set your vaporizer as a healthy super-stoner? This definitely is high enough vaporize all of the THC, but also high enough to get a decent amount of CBD, CBN, linalool, and α-terpineol. If you go higher, first of all, you risk exposing yourself to benzene and other toxic by-products (plus you’re not looking for any medical benefits associated with the higher temperatures). But you also risk dampening the euphoric effects of THC with the release of THCV. On top of this, the THC to CBN / CBD ratio will be skewed towards CBN / CBD and you will experience the sedative and physical effects stronger compared to the euphoriant effects. As a high-class connoisseur, you prioritize the flavor of marijuana. Flavor above all else is your mantra. Any psychoactive, physical or medical effects are secondary to flavor. A vaping session for you consists of marijuana terpenoids blessing your taste buds with full flavor preservation. You sit back, take it slow and just lose yourself in that amazing taste. Anything else is just a nice bonus. The most important type of compound for you will not be cannabinoids, but, terpenoids! Terpenoids are responsible for the unique smell and taste of cannabis. Cannabis has got over 120 known terpenoids in it and most of them have a boiling point around the same temperature as THC: 315°F(157°C). What temperature should you set your vaporizer as a high-class connoisseur? So why go higher than 315°F(157°C)? Because to get to the most well-researched terpenoids, you will have to go as far as 356°F(180°C). The higher you go with the temperature, the more the flavor will deteriorate. With 356°F(180°C), you will get most of the terpenoids for a full and intense blast of flavors, but without any harshness that comes from vaping at high temperatures. Important to understand is that there’s no one single terpenoid which contributes most to the taste of marijuana so don’t go searching for ‘the one’. On a side-note, the temperature is just one of the many variables that have a decisive impact on the taste of your vapor. Check out our guide on how to maximize potency and flavor for all the other variables. 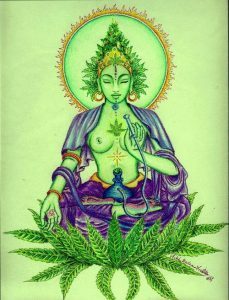 The explorer of consciousness is someone who uses Cannabis for artistic or spiritual adventures. Its consciousness- and mind-altering properties are what draws you to cannabis. When vaping you’re either looking for a jolt of creativity, expanding the boundaries of your imagination. Or you use it to achieve states of non-ordinary consciousness to get into a really deep meditation session. Either way, you want powerful consciousness- and mind-altering effects, without feeling groggy or getting into a lazy and lethargic mood. Just a powerful but clean and clear effect. For you, the most important cannabinoid will be THC. This cannabinoid is responsible for most of the psychoactive effects created by using cannabis. But as said before, the Cannabis plant is a ‘synergistic shotgun’ so you want all the compounds that are known to synergize and enhance the positive effects of THC or dampen the negative effects of THC in your vapor as well. So which ones are these? First of all, you definitely want CBD in your vapor. CBD helps counter all the negative side-effects associated with THC, like anxiety, hunger, and sedation. Second of all, you want some terpenoids in there, and then specifically, those with anti-anxiety effects: myrcene, caryophyllene, and limonene. Yes, you want the strong consciousness- and mind-altering effects of THC, but large amounts of THC have the potential to provoke effects like anxiety, restlessness, and paranoia. These emotions will negatively impact the clarity of your high. You really can't have that, because you want to ENHANCE your perception. Not dull it by being stuck in your head with paranoid thoughts. What temperature should you set your vaporizer as an explorer of consciousness? The explorer of consciousness should go high enough to vaporize most of the THC (according to this study this point is at 365°F(185°C)). But also high enough to get a decent amount of CBD (boiling point: 320°F( 160°C) – 356°F(180°C)) and the terpenoids with anti-anxiety effects. But low enough to keep the compounds which dampen the consciousness- and mind-altering effects of THC, like THCV (boiling point: 428°F(220°C)) in your vapor to a minimum. Also, you don't want to get into a couch-lock or experience feelings of lethargy and laziness in general. How you avoid this is by keeping the temperature below 365°F(185°C): the boiling point of CBN. This is the cannabinoid which is responsible for the sedative effects of cannabis. You will also avoid the vaporization of the sedative terpenoids: linalool and α-terpineol, this way. 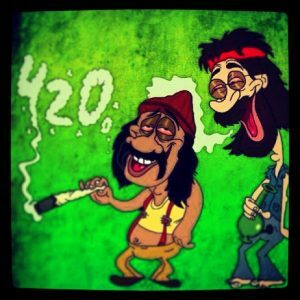 The social party animal is someone who likes to vape cannabis on social occasions, at parties, while going out or just general social gatherings. An energetic, euphoriant, clear high is what he/she is after. A lazy lethargic couch-lock session is a dreadful happening. Feelings of anxiety and paranoia are especially detrimental to your experience because these are some of the worst anti-social feelings. You want the euphoriant effects without ANY of the negative side-effects of cannabis. You’re looking mainly for the euphoriant effects of Cannabis, so naturally, your most important cannabinoid is THC. Just like the explorer of consciousness you want to absolutely reduce any chance on negative side-effects like anxiety and paranoia. Get a decent amount of CBD in your vapor, THE go-to cannabinoid to counter all the negative side-effects of THC. 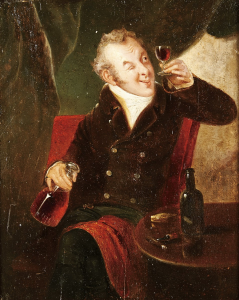 On top of the CBD get the terpenoids (myrcene, caryophyllene, and limonene) known to have anti-anxiety effect in there and you have a good cocktail of compounds giving you that energetic, euphoriant and clear-headed high, while minimzing the risk paranoia or anxiety. At the same time, you want to avoid CBN, linalool and α-terpineol, the cannabinoid and terpenoids in cannabis that are responsible for that sedative tingling feeling in your body and can put you in that dreaded couch-lock. 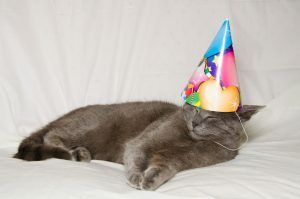 What temperature should you set your vaporizer as a social party animal? The explorer of consciousness should go high enough to vaporize all of the THC, high enough to get a decent amount of CBD and the terpenoids with anti-anxiety effects. But low enough to keep the compounds which dampen the euphoriant effects of THC, like THCV (boiling point: 428°F(220°C)) in your vapor to a minimum. How you avoid this is by keeping the temperature below 365°F(185°C): the boiling point of CBN. 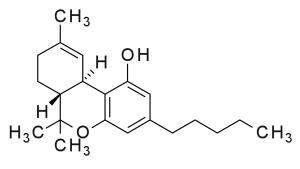 This is the cannabinoid which is thought to be primarily responsible for the sedative effects of cannabis. 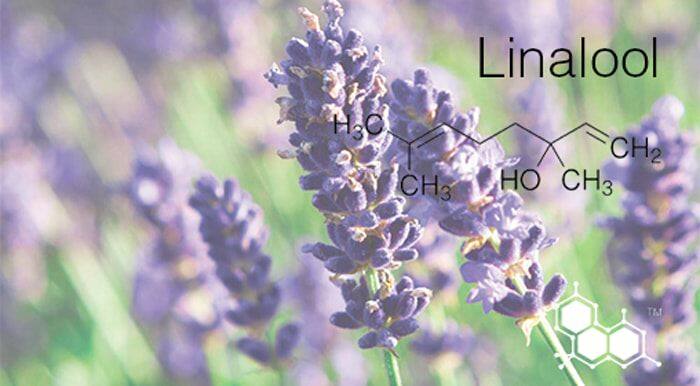 You will also keep the vaporization of the sedative terpenoids: linalool and α-terpineol, at a minimum this way. Now that you know YOUR best temperature to vape your weed at, there's something you need to know. All dry herb vaporizers have some sort of temperature control. Not every vaporizer has got ACCURATE temperature control. Most vaporizers measure the temperature of the heating element. However, the temperature of the heating element usually isn't the same as the temperature of your herb. And the difference can be quite big depending on your vaporizer. I can give you any type of temperature advice, but if your vaporizer hasn’t got accurate temperature control, you're shooting in the dark. The Underdog (if you want a log vaporizer, go for the E-Nano, it has decent temp control). Cannabinoids are the compounds most responsible for the characteristic medical effects (psychoactive and physical) of cannabis. Even though there are over 70 plus known, six (6) of them, ‘The Big 6', are well researched. THC definitely being the most well researched, and more and more research pouring into CBD. Source: Cannabis and Cannabis Extracts: Greater Than the Sum of Their Parts? You know that smell that some people absolutely swear by and others immediately associate with negative things…? Terpenoids are responsible for that characteristic taste and smell of cannabis. But they have many other (medicinal) properties and synergize with all the other compounds in cannabis, like cannabinoids, as well. 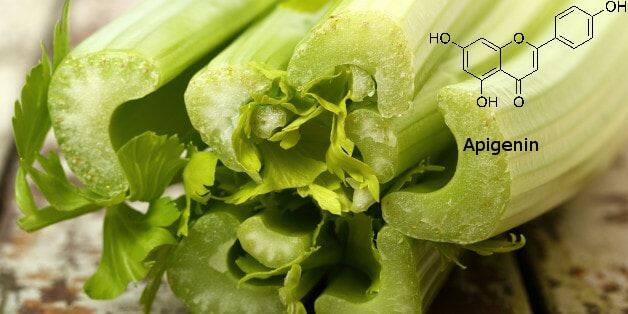 Flavonoids are not the main contributors to the unique taste and smell of cannabis. But just like terpenoids, flavonoids do have many medicinal properties as well. Now that you know the most important compounds in cannabis, how they impact your experience and their boiling temperatures, you can really tailor your vaping experience to your specific needs and really get the most out of each and every vaping session. If you enjoyed this post and want more, please become a fan on Facebook and click share to look really smart in your social circle.